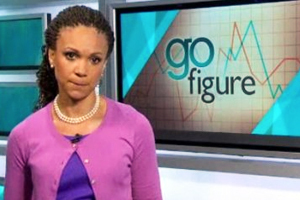 As TheBlaze suggests and Tulsa Today agrees Melissa Harris-Perry’s ‘analysis of bankrupt Detroit is stunning. As a news organization, however, MSNBC is responsible for their content. Do they not have fact checkers? Are MSNBC editors, producers, and executive staff this stupid? Last week, MSNBC’s Melissa Harris-Perry presented a theory as to why Detroit inevitably went bankrupt — terminal lack of government. That is just stupid. Have they reversed or corrected stupid? Not at all. While discussing Detroit’s downfall, Harris-Perry and former-Vermont Gov. Howard “The Scream” Dean agreed that “you’ve got to have a government to run the place.” Harris-Perry noted Detroit’s declining population, and in turn its tax base. The population of the city has declined dramatically over the last 10 years. Harris-Perry presents this fact as though former Detroit residents left – estimated in 2011 at one resident every 22 minutes — on a whim without making a cost/benefit calculation as to whether to continue to reside in a city with one of the highest violent crime rates in the nation with a poverty rate of a staggering 40 percent. Furthermore, since Detroit’s population has fallen below 750,000, it was not legally allowed to collect income taxes from its residents until Gov. Rick Snyder and the state’ legislature reduced that threshold to 600,000 two years ago. The city’s population hovers today around 700,000 residents. “This is what it looks like when government is small enough to drown in your bathtub and it is not a pretty picture,” she added. Detroit maintains 13,000 government workers but has 22,000 government retirees burrowed into the body politic, and their health-care subsidies alone account for nearly $200 million of the city’s budget. Pensions alone already account for a quarter of city spending; in three years, they will account for half. Pensions and city workers’ health-care subsidies account for $561 per year from every resident of Detroit, which has a very poor population — average monthly income of barely $1,200 before taxes, a fifth of the population in poverty, etc. The official unemployment rate is 30 percent; the real rate is much higher. Further, the city voted to “allocate $28.1 million from departments across the city to pay for pension costs that are still due from last year.” Detroit also “declared a moratorium on principal and interest payments on the city’s unsecured debt” in June. “Detroit has a lot of problems. Having too small a government has never been one of them. On this topic, it would appear, Harris-Perry is either not being honest or is not properly informed of the legacy burdens Detroit’s city government must shoulder,” Rothman concludes. 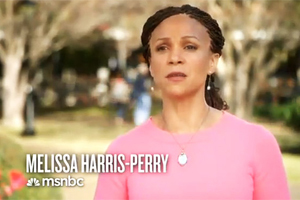 Click here for the story on TheBlaze with video from Mediaite of Harris-Perry’s comments. This entry was posted in Business on July 27, 2013 by admin.